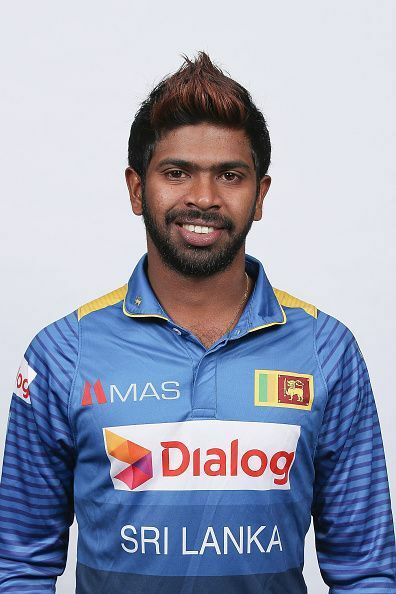 Niroshan Patabendige Dilantha Dickwella is a left-handed Sri Lankan wicket keeper batsman who was born on 23 June,1993 in Kandy, Sri Lanka. He is known for his aggressive batting and unorthodox shots. Dickwella became a regular part of Nondescripts Cricket Club as a wicketkeeper due to the regular absence of Dinesh Chandimal in the side. He soon started playing all the formats in domestic for Sri Lanka A. He made his debut for Sri Lanka at an early age of 21 years in 2014 in a test match against South Africa. He played a blissful knock of 72 runs. Soon after his debut, Dickwella failed to impress and was unable to sustain his place in the team. His ODI debut came later that year in November against the Indian team, wherein he scored just four runs in his team’s loss. Dickwella remained out of the team before he was called back to the national side after a fine performance in domestic circuit. His major performance came against South Africa in 2016-17 South African tour. During the fourth ODI against South Africa, he was engaged in a verbal spat with Kagiso Rabada and was fined for that. Later, he was banned for two international games when he breached the Code of Conduct during second T20I against Australia. In 2012, he became the Sri Lanka’s schoolboy cricketer of the year. In 2017, Dickwella along with Danushka Gunathilaka made the record of posting two consecutive 200+ opening partnerships in ODIs. His first ODI century also helped Sri Lanka to chase 300+ score against Zimbabwe which was a record for Sri Lanka.